Before we saw a show Saturday night at A.C.T. in San Francisco we gave ourselves a video challenge: an 80's video music homage shot in Union Square with a Canon EOS 70D in just 30 minutes. 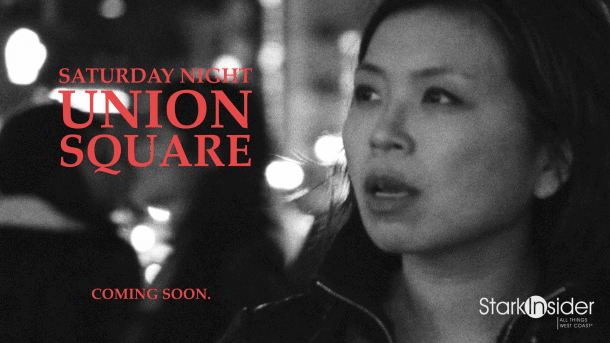 Here’s what Union Square in San Francisco looked like this past Saturday Night, with a bit of an 80s twist. With plenty of tourists, and locals alike, plus interesting artwork, raucous street musicians, ubiquitous cable cars it was, no doubt, a quintessential San Francisco experience. There’s a cameo in there by one of the famed, gregarious doormen in the iconic Beefeater suit at the Sir Francis Drake Hotel. There’s also a cameo by a woman in a bikini doing yoga, a shark, and a man in a cape. Did I mention, this is San Francisco? My wife, Loni, and I were actually on the way to see a show at the magnificent American Conservatory Theater (A.C.T.) on Geary. We decided to arrive early, park at the Sutter/Stockton garage and see if we could shoot a 80s music video homage. We’ve done these quick turn projects before. 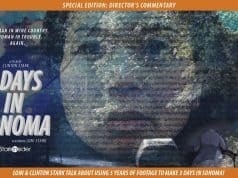 The rules are this: I only get up to 1 hour to shoot the footage, and it must be cut and published the next day. That’s it. Just about anything goes. 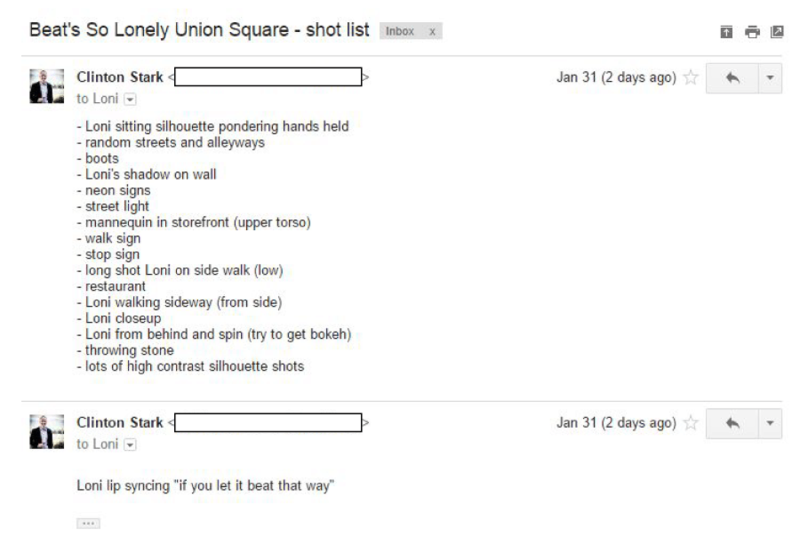 Beat’s So Lonely at Union Square, San Francisco from Stark Insider on Vimeo. Of course, I don’t have a monopoly on 24-hour type video and film contests. But every now and then I like to give myself a deadline and go for it. We did the same when we traveled to Loreto Bay in Baja California Sur in 2013. Except we decided to do it three days in a row. One of my favorites was “Morado” – we shot at the gorgeous “Our Lady of Loreto” Mission (1697). It’s a spectacular set all ready to go! The mosquitoes were fierce that night, and that forced our hand even more. During these “creative challenges,” while I work on video, Loni works on quick turn paintings, from blank canvas to completed work in just 24 hours max. The end results are usually quirky, sort of random, arthouse. Exercising the creative muscle I think helps my editing, creative decisions, and confidence. Practice, practice, practice. I never went to film school (probably couldn’t have guessed that eh?) so this one small way to work on learning techniques. 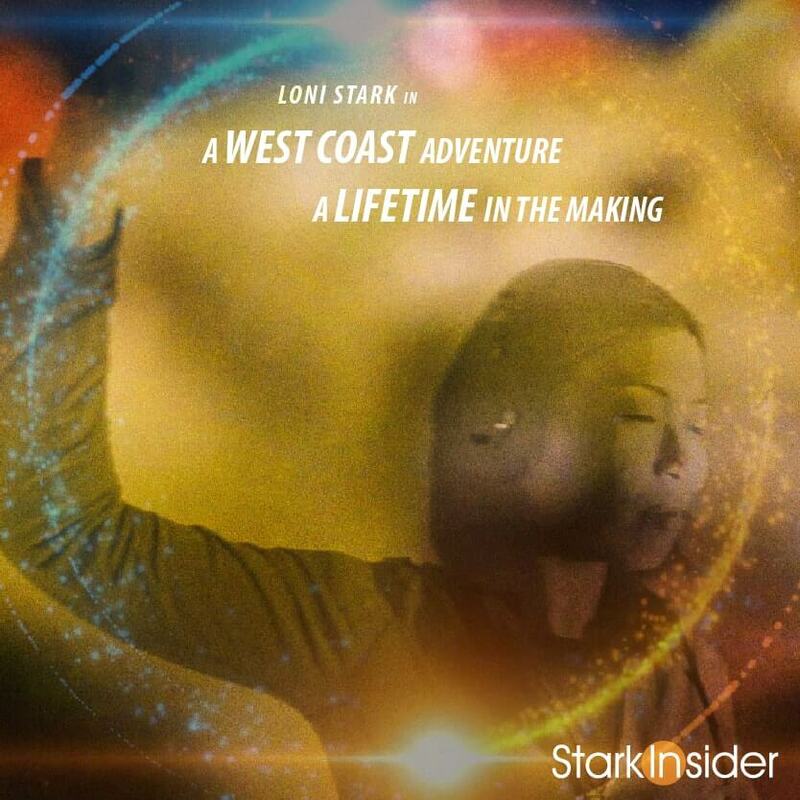 In 2009, I left the Silicon Valley tech scene to start Stark Insider – best move I ever made, and I’m fortunate to have someone like Loni who supports the entrepreneurial bug. The other day I wrote about a potential switch, from Canon DSLR to a dual camera Sony strategy (Sony A7S and FS7). I’ve been with Canon gear since I made the leap into DSLR with the savvy little beast known as the EOS Rebel T2i. A gem that. Shot many videos over the years, at theaters, film festivals, up in Napa, and even on some pretty wild Broadway sets. It never failed me once. But the thing is, Sony is really innovating these days when it comes to video. The new Alpha 7S (A7S) is a terrific performer in low-light, is compact, and features a 35mm full-frame sensor, similar to what you’d find on Canon’s (aging) 5D Mark II, and yet it lists for about $1,000 USD less. Then there’s the FS7 Super 35 camera from Sony. Surf the forums, and you soon realize it’s really igniting the filmmaking/doc/run-and-gun community. The cat’s meow. For $7,999 you would almost get the world it seems. 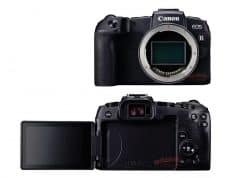 A Super 35 sensor identical to its more expensive bigger brothers, 4K internal recording, fairly compact body, decent battery, ND filters, twin memory cards, the easy-peasy e-Mount, great EVF and LCD, and an innovative armgrip design that allows for shoulder-mounted shooting. 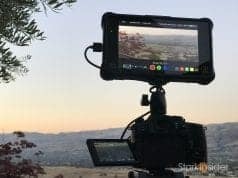 Canon’s C300, the nearest competitor, costs about $3,500 more. That’s 44% cash outlay for a camera that doesn’t even support 4K. And this is 2015. I expect Canon to finally do something in this regard at NAB in April. However, I do have some concerns about the new Sony models. The A7S has pronounced rolling shutter. If you pan the camera rapidly, the background can become “jello-y”. 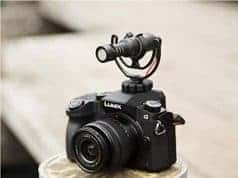 Mind you, almost all cameras exhibit this behavior to some degree. Unless a camera has a “global shutter” which virtually eliminates it, there will be some rolling shutter. Unfortunately, on the A7S it’s really bad, at least from what I’ve read. It got me to wondering if the Union Square video I shot above would have had such issues if I used an A7S? 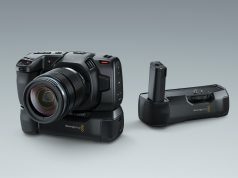 I’ve been reading in the forums that there are firmware issues related to the FS7. Chiefly, slow menu responses, quirky interface choices, and a really slow responding kit lens (28-135mm servo). Then there’s the fly-by-wire – which means Sony lenses, because they use electronics for aperture, iris and focus rings, can be laggy. Not something I want to hear. We do a lot of interviews for Stark Insider and run-and-gun, both of which require crash zooms, and lots of rapid lens work. There’s an easy work around though: just use my Canon glass using a Metabones adapter. Sharpness? Sharpness?! We don’t need no stinkin’ sharpness! Okay, that’s slightly harsh. I just get a laugh out of how many sharpness tests there are for cameras these days. Then again, I’m guilty. I’ve probably watched too many. While everyone is harping about sharpness, I’m feeling 70s cinematic, and wanting grain, grit, and film-look. DID YOU SEE WHAT CAMERAS THEY WERE USING AT SUPER BOWL? Canon. Canon. And more Canon. There were others in there of course, but look closely after the Patriots’ win and you’ll see one Canon DSLR after another. Are DSLRs really dead? 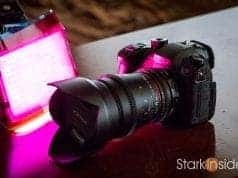 A great, great DSLR – despite all the new mirrorless craze, it’s still a winner especially the dual-pixel auto-focus, and build quality. A surprisingly good all-rounder, silent too). I often use as a monopod, features a really nice, smooth fluid head. C’est tout. In Premiere I use FilmConvert to get the Black and White look and tweak. But first I attempt (with limited success, granted) to remove the digital noise. I use the Neat Noise Reducer plugin. My goal is to remove the digital grain, and replace with more pleasing film-like grain. After I’ve applied Neat I then use FilmConvert to add what I hope is better looking grain. Again, my results vary, and in the end, it still looks digital no doubt. Either way, this image has fallen apart a long time ago – I was shooting not caring too much about ISO (nor the auto-focus hunting you see in several shots). Besides, over 55% of Stark Insider visitors (on YouTube and Vimeo too) are using tablets and smartphones. I left shaky hand-cam shots in there on purpose to give it an unpredictable street vibe- after watching the video I wonder if annoying? The shots in the art gallery are way overexposed. And while I could fix that a bit, I prefer it that way. On this evening it felt like the art galleries were super-bright, insular while on the city streets it was dark, electric. Hyper-exposure can be a creative choice? In the end these weekend self-imposed creative deadlines/contests are a fun way to keep the creativity amped. Another perk: this is actually b-roll I’ll be using for some upcoming projects. Yet another perk: this is great exercise, I think Loni logged 8,000 steps on her FitBit. Since we had limited time I showed Loni the list of shots I needed, and had her practice the rocker look (a hoot!). From there she just hit the streets of Union Square, walked in basically a circle, and then ended back at the Sutter-Stockton parking garage. There I put my gear back into the trunk of the trusty Prius, made sure to take the SD card with me just in case. Then, we walked back to Union Square, over to the A.C.T. to see a show. A memorable, challenging, fun Saturday Night in San Francisco!